Squeedar is all about having fun. Squeedar is not run by a team but by one lone geekette by the name of Toni Adams. Squeedar was created to show a different side of Los Angeles and San Fernando Valley. A side of absolute creativity, boundless energy, and sheer fun. There is so many things to see and discover in Southern California, why not check out it's geek-tastic flair? Squeedar is a culmination of events of interest for those in the geek community. Which is everyone who just wants to have fun! FangirlNation is an online publication of all things pop culture. The site is run on the blood, sweat, and tears of fellow fans. As the Senior Correspondent ,she showcases even more passionate items of pop culture variety. There you can find comic reviews and coverage of various events. As you can probably noticed, Toni is also a cosplay enthusiast. You can follow her cosplay antics and humor at facebook or instagram under her cosplay name: HERALD OF GEEK. 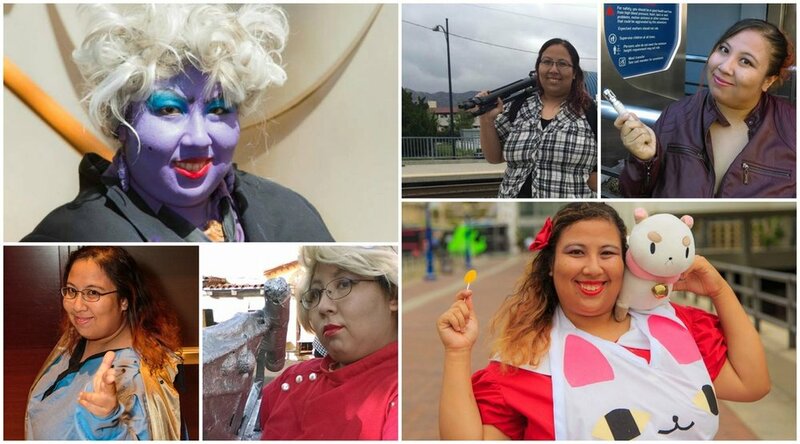 Anyone can cosplay: no matter size, budget, or skill level. As long as you're having fun! Enjoy and have lots of adventures! or something they love. Squeedar is one source of many to find that happiness in Southern California. Check out Fangirl Nation (fangirl.com) for a more nationwide source of squee. Squeedar is all about that squee.